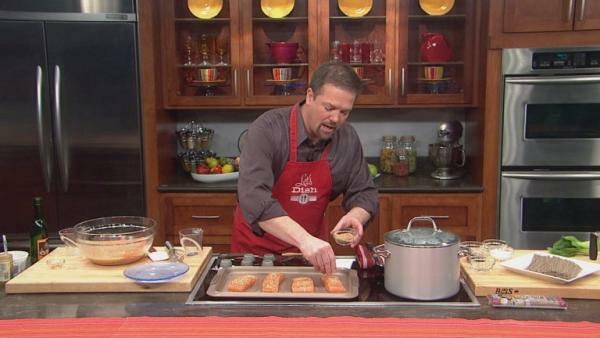 Chef Chris shares a delicious and easy recipe for a salmon with noodles. While this recipe uses canned black beans, it tastes much better than canned black bean soup. Serve it with lots of sides so that everyone can personalize it to their taste. This recipe makes a lot and can be frozen to be heated up later. Pastry Chef Melissa Trimmer shares a recipe for a super simple dessert. Polenta is a comfort food in many different cultures. It is filling and when topped with a spicy mixture like the one below, makes a great mid-week dinner.